Meadow House Holiday Park in Pembrokeshire sleeps between 4 and 6 people, with the accommodation being caravans and lodges. 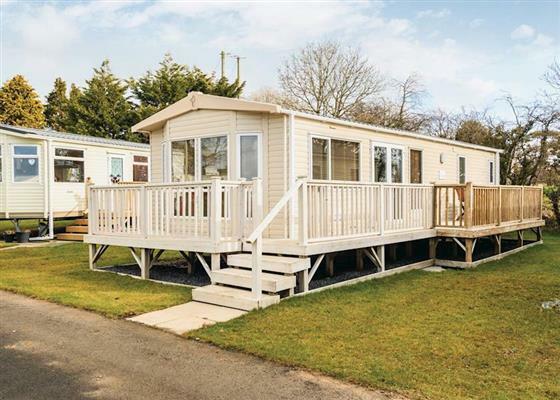 Commanding magnificent views across Carmarthen Bay from its stunning cliff-top setting between award-winning Saundersfoot and Amroth beaches, this peaceful park offers couples and families a perfectly located base for exploring Pembrokeshire’s majestic National Park. A superb indoor pool, adventure playground and bar number among an array of on-site facilities. 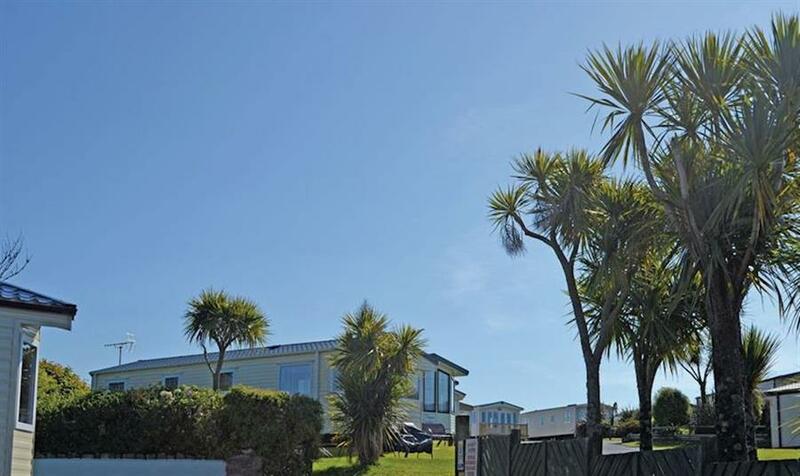 If you want to find out what other people have said about Meadow House Holiday Park, read the reviews on Meadow House Holiday Park for more information. And, for those last minute bargains, have a look at some of the special offers available at Meadow House Holiday Park. Brand new for 2013. Modern open plan holiday home with one double with ensuite WC and one twin. Shower. Balcony with garden furniture. Luxurious modern holiday home with one double with ensuite WC and one twin. Shower. Fridge/freezer. Spacious dining area. Balcony with garden furniture. "Luxurious and contemporary caravan. One double and one twin. Family shower. Stylish and modern open plan lounge/kitchen/dining area with large flat screen TV, Playstation 3 games console on request (deposit required). Doors leading to decking with garden furniture, barbecue and luxury outdoor hot tub. No pets." Stunning lodge with one double with ensuite walk in shower and two twin. Bath with overhead shower. Open plan lounge/kitchen/dining area. Outdoor hot tub. Brand new for 2013. 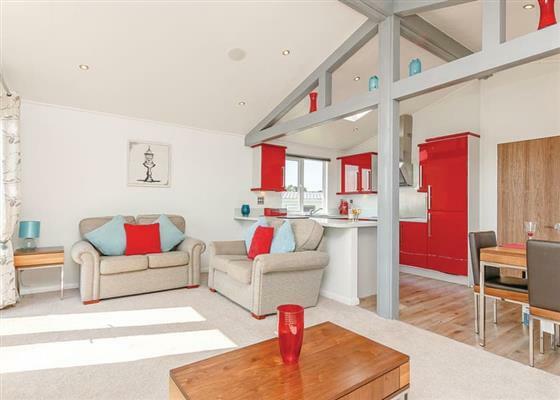 Superior modern open plan holiday home with one double and two twin. Shower. Balcony with garden furniture. 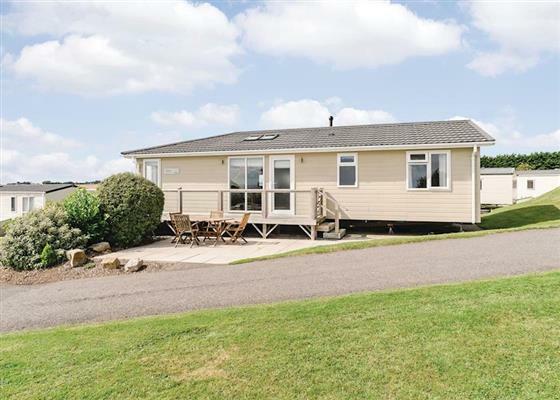 Find out about Meadow House Holiday Park, including prices and availability. There aren't currently any special offers at Meadow House Holiday Park however, the special offers shown below are all on parks within 30 miles of Meadow House Holiday Park - so you may find these useful. There are 59 holiday parks within 5 miles of Meadow House Holiday Park. The Smithy in Carew, Pembrokeshire, and sleeps 10 people. 7 miles. Bwythyn Glas Y Dorlan in Llandeilo, Dyfed. 31 miles. Fern Cottage in Whitland, Dyfed, and sleeps 6 people. 4 miles. Maesoland Farm House in Laugharne, Dyfed, and sleeps 8 people. 9 miles. Little Newton Farm in Kilgetty, Pembrokeshire, and sleeps 12 people. 2 miles. Fron Rhydwen in Narberth, Pembrokeshire, and sleeps 6 people. 9 miles. Llwyn Celyn in Newport, Dyfed. 21 miles. Waters Edge in Dale, Pembrokeshire, and sleeps 6 people. 21 miles. Maes-yr-Adwy in Abergorlech, Dyfed, and sleeps 8 people. 31 miles. Henllys Lodge in Llandovery, Carmarthenshire. 42 miles. Bwthyn Y Mynach in Carmarthen, Dyfed, and sleeps 8 people. 24 miles. Mews Cottage in Tenby, Pembrokeshire, and sleeps 8 people. 4 miles. Tirmyndd Farm Cottage in Swansea, and sleeps 9 people. 27 miles. Pottre Farmhouse in New Quay, Ceredigion, and sleeps 8 people. 35 miles. Glandwr Country House in Cardigan, Wales, and sleeps 12 people. 29 miles. Murton Farm Cottage in Murton, West Glamorgan, and sleeps 6 people. 29 miles. Arosfa Emlyn in Newcastle Emlyn, Carmarthenshire. 23 miles. The Coach House in Lampeter, Wales, and sleeps 20 people. 40 miles. Llwyncadfor Farmhouse in Newcastle Emlyn, Wales, and sleeps 14 people. 25 miles. The Old Lighthouse in Haverfordwest, Pembrokeshire, and sleeps 10 people. 21 miles. Ysgubor Wen in Llanelli, Dyfed, and sleeps 10 people. 18 miles. Forda Hill Farm in Barnstaple, Devon, and sleeps 12 people. 46 miles. Llwyncrwn Farm Cottages in Llandysul, Carmarthenshire, and sleeps 2) people. 26 miles. Dan-y-Glo in Swansea, West Glamorgan, and sleeps 10 people. 29 miles. Sheepwalks Cottage in Tenby, Pembrokeshire, and sleeps 8 people. 6 miles. Kingfisher at Maesydderwen Holiday Cottages in Llandeilo, Brecon Beacons National Park, and sleeps 10 people. 34 miles. Pendine Manor in Laugharne, Carmarthenshire, and sleeps 20 people. 6 miles. White House in Tenby, Pembrokeshire, and sleeps 8 people. 4 miles. The Dingle in Freshwater East, Pembrokeshire, and sleeps 12 people. 10 miles. Trecift in Cardigan, Pembrokeshire, and sleeps 10 people. 25 miles. Clifton House in Tenby, Pembrokeshire, and sleeps 12 people. 4 miles. St Brides Cottage in Saundersfoot, South Wales, and sleeps 6 people. 2 miles. The Gower Beach Loft in Three Cliffs Bay, Gower Peninsula, and sleeps 10 people. 27 miles. Bay View House in Saundersfoot, Pembrokeshire, and sleeps 10 people. 2 miles.